Joe has been an integral part of our office since 2003. A naturally compassionate personality, Joe enjoys treating patients in a gentle and caring environment. Joe has a strong periodontal background and is very knowledgeable, educating patients on the importance of maintaining a healthy smile. Joe attended Quinsigamond Community College in Worcester where he earned his degree in dental hygiene. He is certified in radiology and administering anesthesia and has over 10 years of clinical experience, beginning with his time as a dental assistant before earning his hygiene certification. 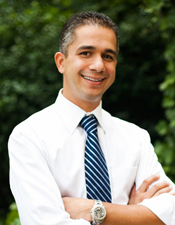 Joe continually advances his dental experience and knowledge through various continuing education courses. Joe spends time away from the office with his wife and two daughters. They enjoy the outdoors, including camping, hiking, and riding bicycles. Mona became a part of our team in 2012. She graduated from Middlesex Community College with an Associate in Science in dental hygiene in 2011. Upon graduating, she was inducted into Phi Theta Kappa, a national honor society. She is also certified in administering local anesthesia. 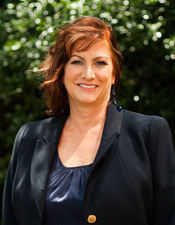 Prior to working as a dental hygienist, she had three years of dental assisting experience. Her sweet and warm smile will always comfort you during your dental visit while her highly effective treatment and exceptional care will help you to maintain your healthy smile. In her spare time, Mona enjoys traveling, exercising, collecting stuff from Hello Kitty, exploring restaurants in her neighborhood, and spending time with her family and friends. She is actively engaged in church activities, such as volunteering as a Sunday school teacher. 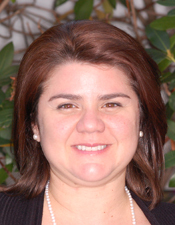 We are lucky to have Sabrina, who brings over seven years of clinical experience to our practice. She is qualified to administer Zoom! in-office bleaching, speaks Portuguese, and is a Brookline local. She earned her dental assistant certificate from Boston Career Institute and has excellent patient care and chair-side assistance. 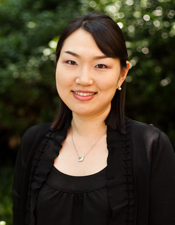 Sabrina has a high standard of excellence for patient care and will make you feel comfortable, welcome, and at home. In her spare time, Sabrina enjoys spending time with her two beautiful daughters and her two Yorkies. She also enjoys listening to house music, dancing, and painting. Carol brings over ten years of experience to her role as our front office manager. She helps us by overseeing the daily operation of our office while making sure we provide the highest level of customer service. Feel free to call her with any questions about your dental treatment, insurance benefits, or co-pays. She is here for you. Originally from Indiana, she has lived in six states. Her warm and welcoming smile along with her Southern gracious manner will always make you feel comfortable and welcome! In her spare time, she enjoys walking her Cocker Spaniel, Molly. She also loves to paint and takes photos of old Movie Theatre Marquees. 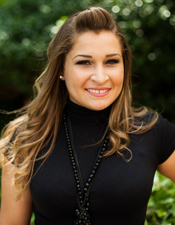 Gaby has over 10 years’ experience in the marketing field, and over seven years’ experience as a Dental Office Manager. She provides support to the practice administration, designs and implements our marketing and advertising, and trains other staff with specific strategies to improve our administrative systems and provide better service to our family of patients. In her free time, she spends time with her two daughters and husband. She loves music and salsa dancing.